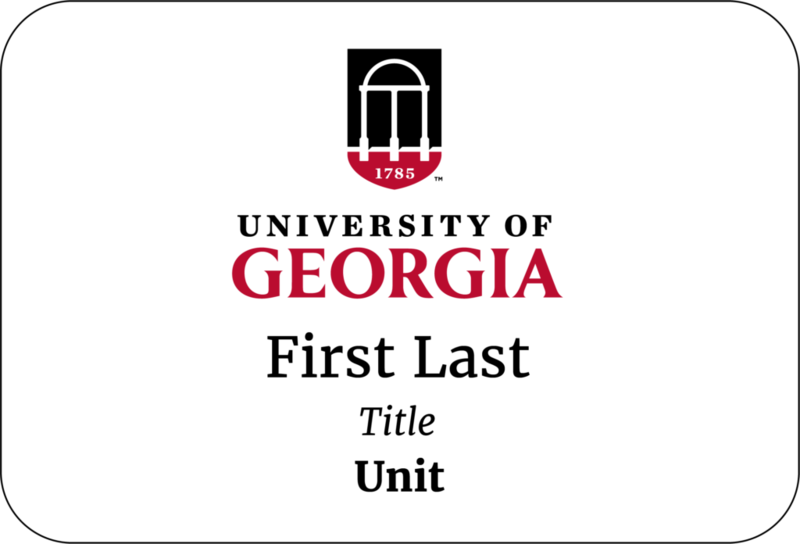 The University of Georgia logo is the strongest visible representation of the entire university. It embodies who we are and unites our different voices so that together we are stronger than the sum of our parts. More than a mere visual mark, it is the face of the organization and should be consistent across all mediums. Use secondary logos only where the primary logo does not fit spacing needs. The trademark symbols are black on the Full Color (FC) and Black (2CB) variations. They are white on the Reversed Color + White (CW) and White (W) variations and red on the Red (2CR) variation. The white holding shape provides a buffer between the interior shield elements and the background. Do not change its color and remove it only when the logo is applied on a completely white background. All color variations of the logo include the white holding shape. Shadows behind the arch plinths imply that the arch protrudes from and is lighter than the interior shield elements. Consider the shadows when embossing or debossing the logo. These pieces are solid colors in all color variations except the white logo, where they are transparent. 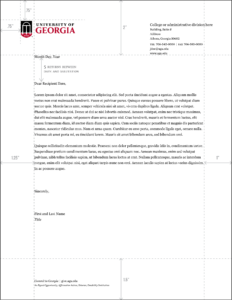 The university seal is reserved for official documents such as diplomas, transcripts, legally binding documents and materials issued by the Office of the President. 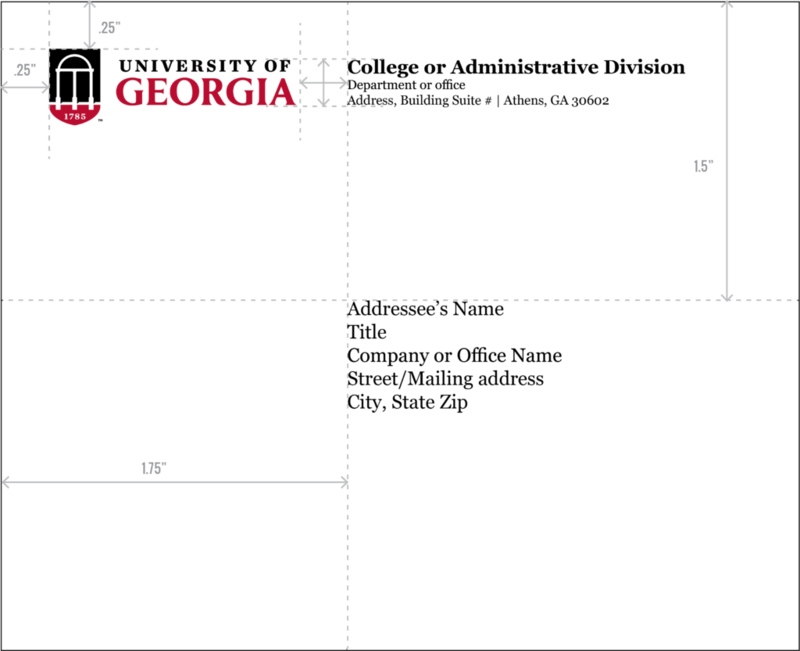 Top level logos are those that identify the 27 colleges or administrative divisions of the University of Georgia, as well as multidisciplinary or highly independent units. Web (WEB) logos should only be used as banners at the top of websites. 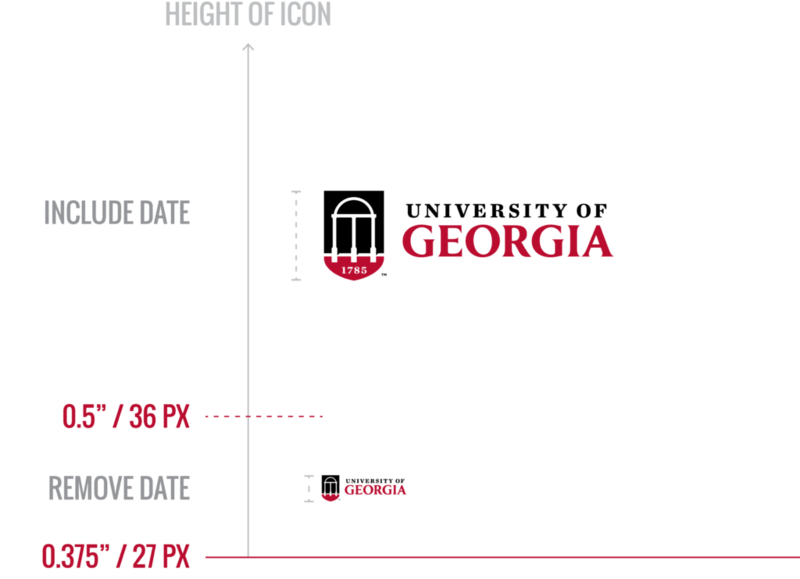 Vertical (V) logos are limited to top level colleges and divisions, and a few outward-facing units within Development & Alumni Relations and Public Service & Outreach. Department level logos add a second tier of hierarchy to the top level logos. The hierarchy can change to prioritize the top level or the department level, depending on the need. Both tiers offer single and double line configurations. Multi-tier logos are available for sub-units or labs that need to be closely identified with their parent entities. The sub-unit or lab name always appears underneath the rule. 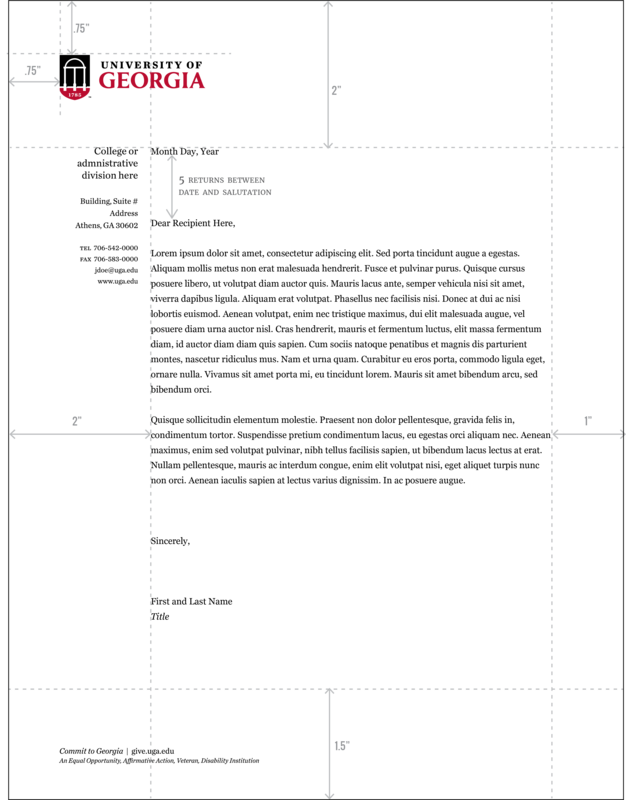 Each tier offers single and double line configurations. Contact the logo liaisons for each college or division to request official logo sets and special configurations. Do not create your own logos, and do not alter official logos in any way. as embroidered patches on medical uniforms. as metallic lapel pins and coins. Although there is no official flag for the institution, there is a preferred flag with the academic mark. Avoid placing graphics or text in the logos’ immediate vicinity. This helps maintain the logos’ integrity. 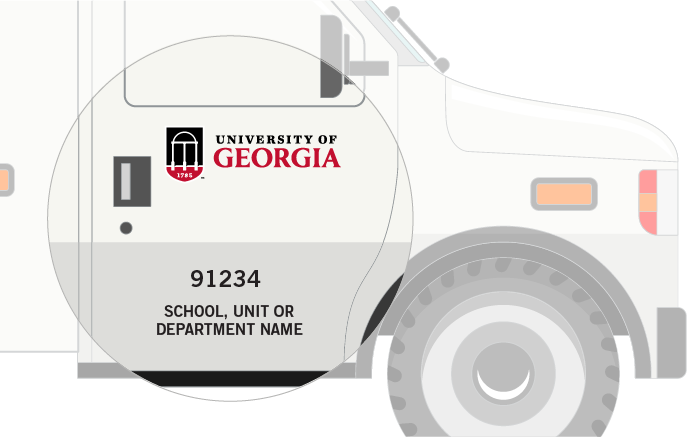 Use the “G” in the university logos as a guide for minimum clear space on all sides. 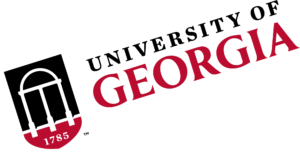 For horizontal or extreme horizontal unit logos, use the combined height of the “University of Georgia” wordmark and the line directly above it. Be conscious of the logo’s legibility. 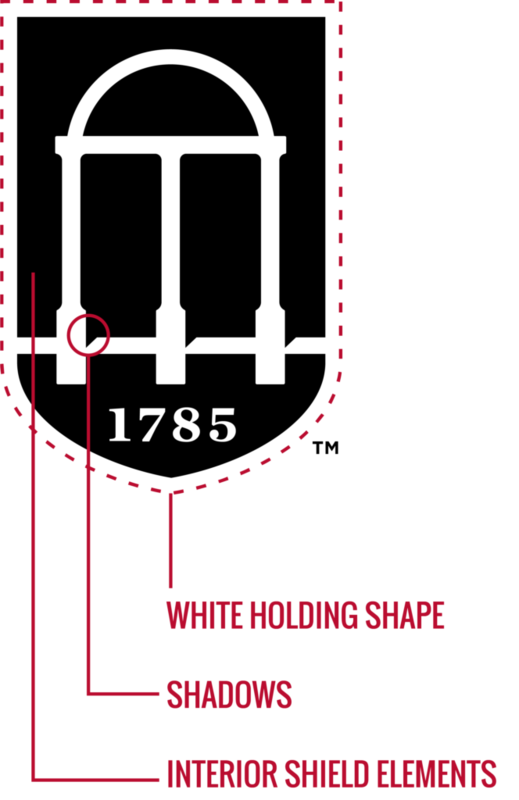 When the height of the arch-shield icon is under a half-inch (print) or 36 pixels (digital), remove the 1785 date. 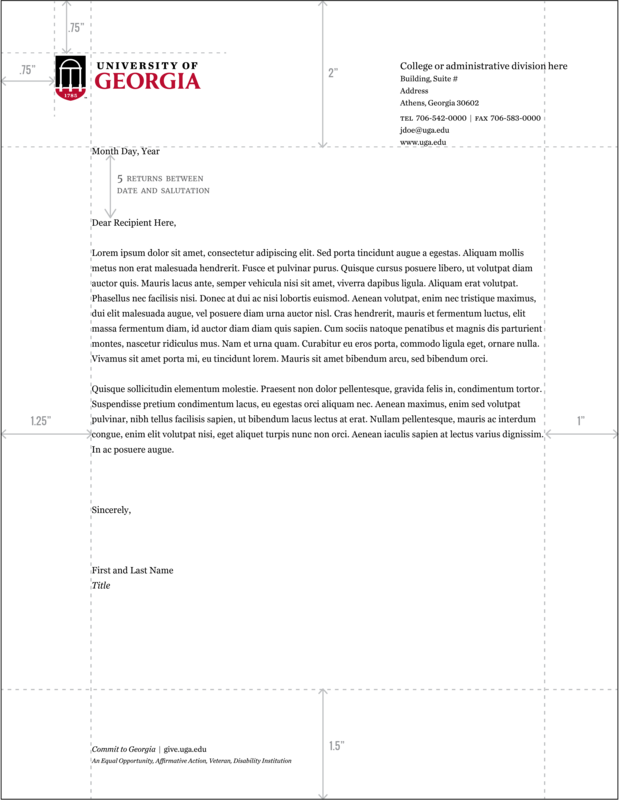 The minimum height of the icon is 0.375″ (print) or 27 pixels (digital). Consistent presentation is vital in strengthening a brand’s recognizability and impact. Any modification to our logo is therefore prohibited. Do not switch the red and black in the logo. Do not change the color of the white holding shape to black or any other color. Do not move any part of the logo. Do not use the arch-shield icon alone. Keeping the icon and wordmark together strengthens recognizability. Do not place the logo on inaccessible backgrounds. Use a different color variation of the logo or choose a different background image. Do not substitute any alternate typography for the wordmark. Do not alter the icon-to-wordmark proportion. Avoid placing the logo on rival colors. Do not change the colors of the interior shield elements to white. Do not remove the white holding shape, except in special circumstances. Any use of the logo on promotional items, merchandise or apparel requires trademark approval before production. When project budgets limit a print job to one color, use the Red (2CR) or Black (2CB) logo on a completely white background, or use the Reversed White (W) logo on a dark background (about 40% black or darker). 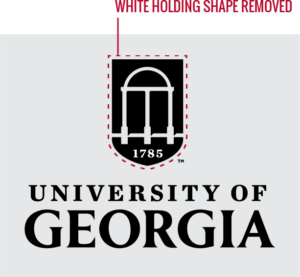 If an off-white or near-white background must be used, it is acceptable to remove the white-holding shape from the Red or Black logo. 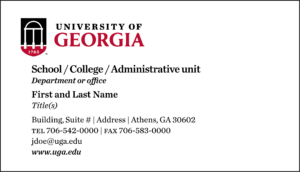 When several entities within the university equally share affiliation with a program or event, list the entities alphabetically either underneath the university logo or on its right side. 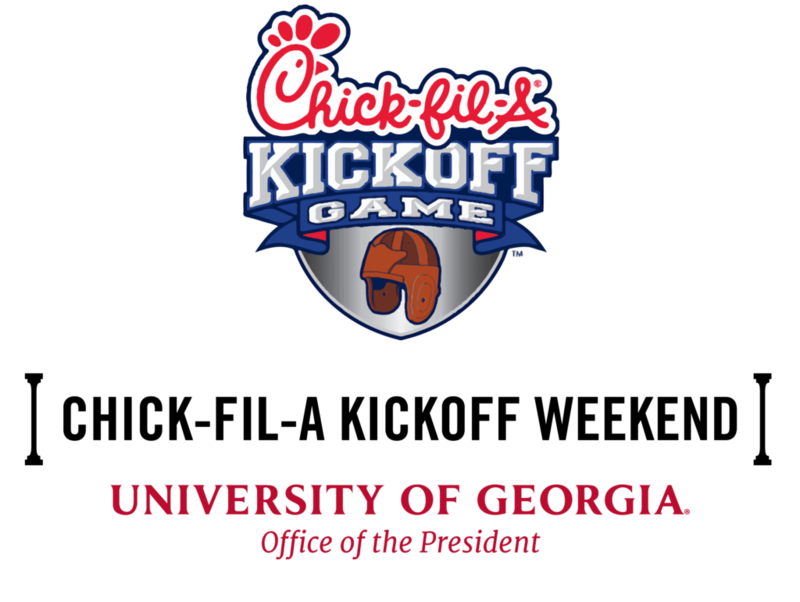 When one entity is the major sponsor, use its logo instead of the university logo. List all other affiliated entities alphabetically. 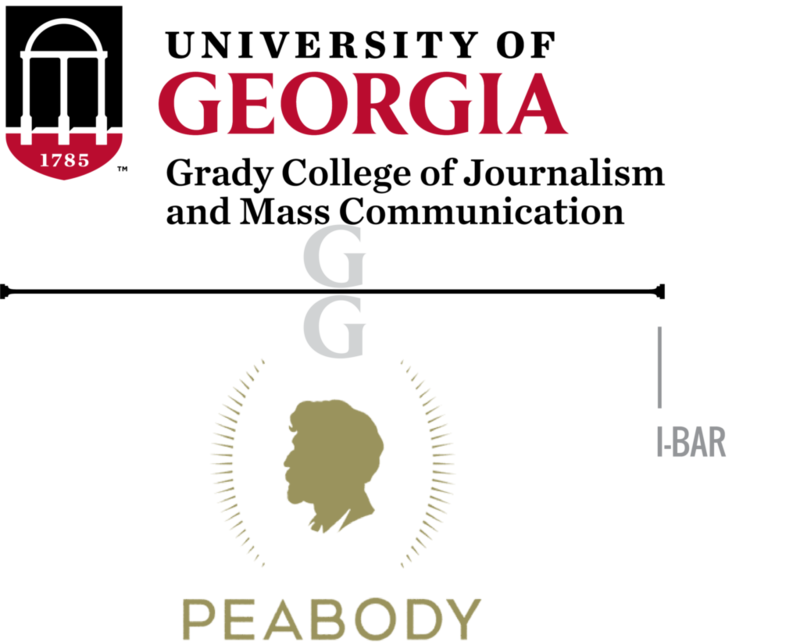 When a university entity works with affiliated yet independent entities or with outside partners, multiple logos may need to be displayed. 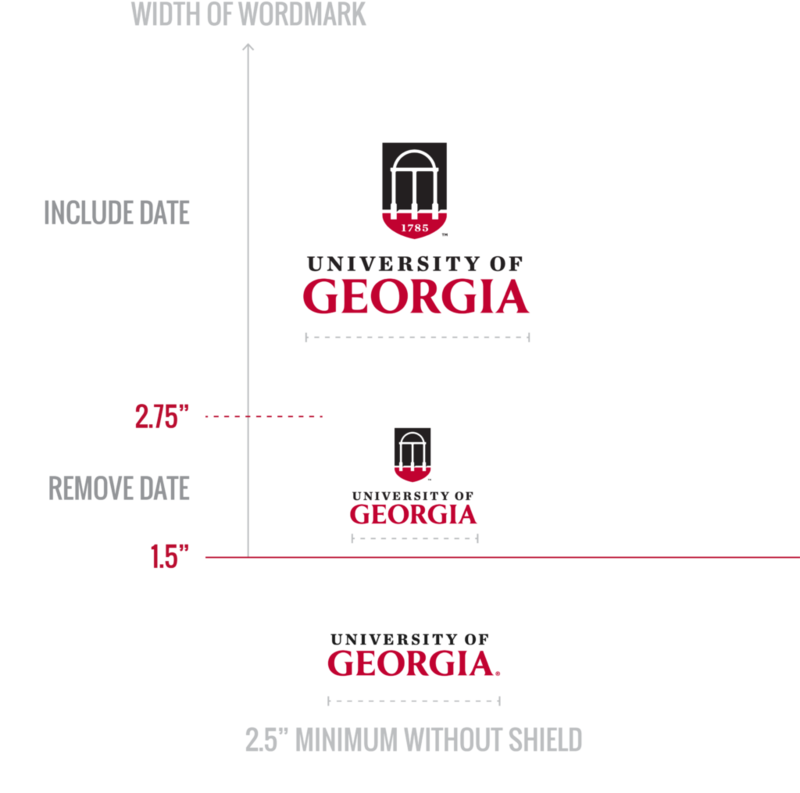 The “I‑Bar,” a graphic element of the university brand, can be used to separate the logos. When a university entity sponsors a separately branded event, these promotional graphic arrangements can be used. These arrangements allow the event and sponsoring entity to leverage the equity of the university brand and, if consistently used, will unify the various promotional efforts across campus to strengthen the university’s recognizability. 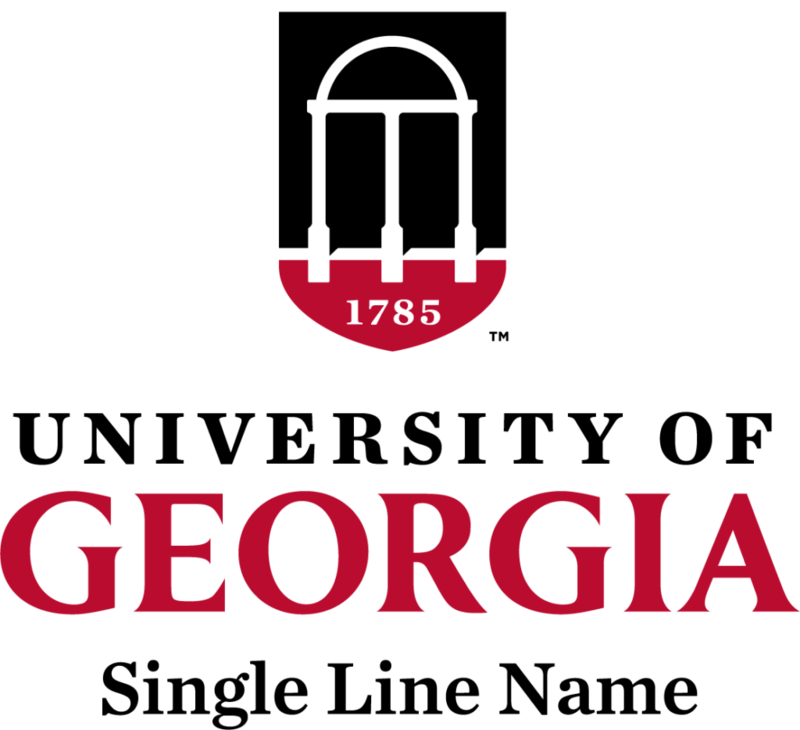 The University of Georgia wordmark and division name in these arrangements should not be used as logos. Use these arrangements as temporary promotional graphics only. Embroidery is a unique medium that requires special attention to sizing. Small lettering can be difficult to read when embroidered. Follow these constraints when embroidering the university logo. Department-level logos can be difficult to embroider due to the small lettering involved. Please ask the embroidery vendor for a sample stitch whenever possible. 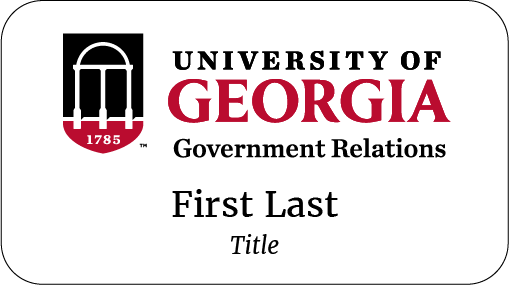 If the department name is illegible due to its size, use the affiliated top-level logo. Embroider the department name separately in Trade Gothic Bold No. 20 or a similar sans-serif font. Please include enough clearance space between the name and the logo. Proportional scaling is required at all times. The shadows behind the arch plinths imply that the arch is coming forward from its background. When the arch-shield icon is embossed (raised from the surface), make sure the arch itself is embossed while the interior shield elements remain level. When the icon is debossed (pressed into the surface), make sure the interior shield elements are pressed in while the arch itself remans level. The outer border of the white holding shape does not need to appear on a debossed logo. When installing vinyl signs on clear, translucent, or opaque backgrounds, the White (W) or Reversed Color + White (CW) logos should be used. When using the Georgia Top Shield (GTV) configuration, the white holding shape extends to encase the Georgia wordmark. When engraving, make sure the white holding shape is engraved, not the interior shield elements. This also applies when using frosted glass vinyl intended to resemble engraving. To maintain a unified presence across campus, the university logo is used on vehicles. Departments and units should be identified separately in the bottom area of the driver and passenger’s door panels. Social media icons are offered as Photoshop files. Each file includes a text layer in which the name of the unit can be inserted. Social media icons are the only application medium for which the logo proportions are altered. Do not change the color, proportions or arrangement of any element in these configurations. Do not use social media icons as official logos. Make sure to save the file as a high-resolution JPG or PNG. Saving as a lower-resolution image may make the icon appear blurry on some screens. We recommend producing name tags in plastic, UNISUB® or metal. 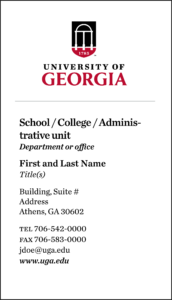 Plastic name tags usually have specific dimensions (3″ × 2″ or 3.5″ × 1.25″). Name tags can be ordered from one of our licensed vendors. 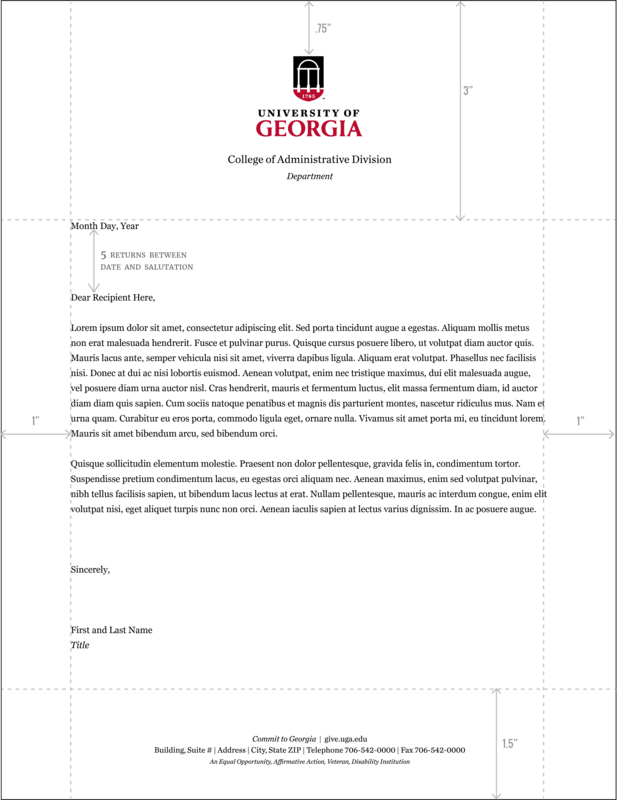 The university logo is used on letterhead, envelopes, mailing labels and business cards. Departments and units should be inserted in the designated areas for each option. 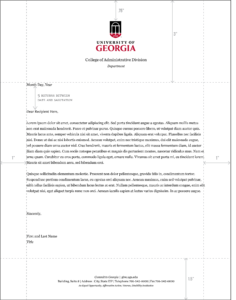 Small note cards and note pads intended for personalized, hand-written correspondence may use top-level or department-level logos. 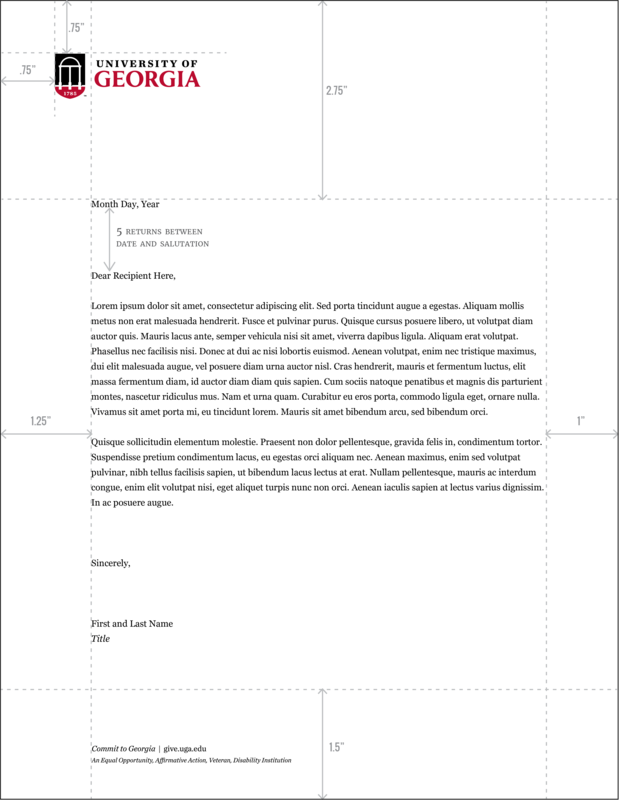 Digital versions of the letterhead templates can be customized and printed as needed. Type should be set in 9 pt. Georgia Regular at 14 pt. leading. 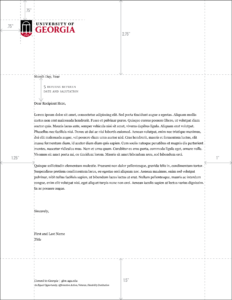 In order to maintain the university’s nonprofit mailing indicia from the United States Postal Service, a consistent return address style must be used. The distance between the logo and the return address is equal to the height of the logo’s wordmark. Any serif font may be used. 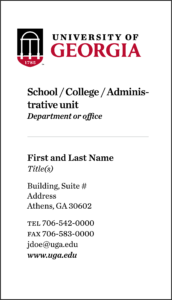 Letterhead, envelopes, labels and business cards can be ordered from Bulldog Print + Design or Tate Print and Copy. A logo is the simplest visual representation of an entity. It identifies the entity like a person’s name identifies the person. A logo may be a wordmark (a graphic created only from letters), an emblem (a graphic created with no words) or a combination of both. 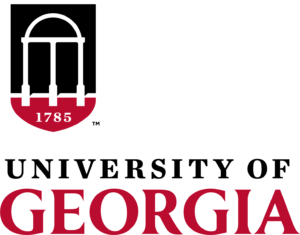 For the University of Georgia, only logos created by Marketing & Communications from the visual identity system are considered official. Never create alternate graphics to identify the university or its units. 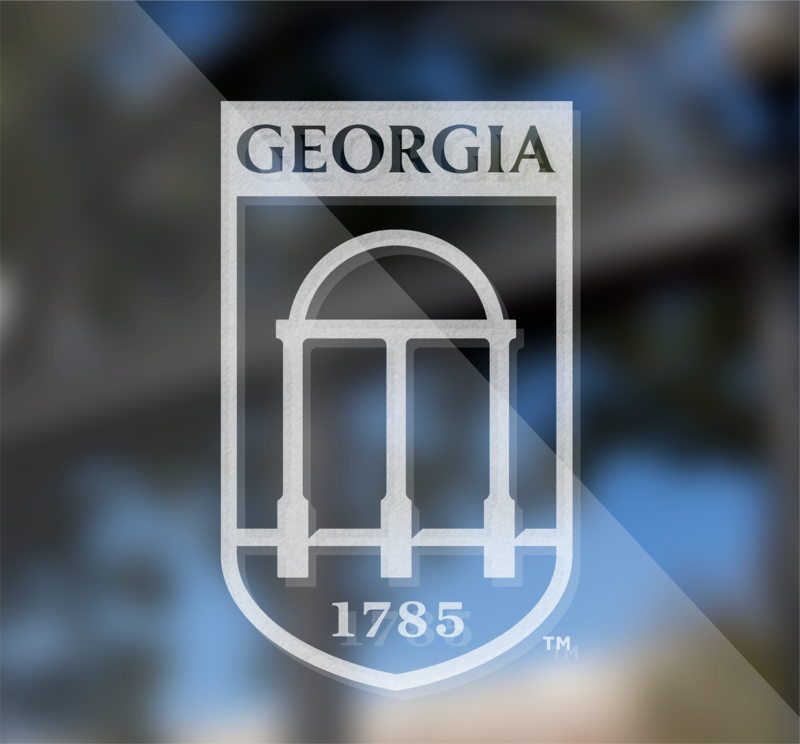 Promotional graphics may be created for temporary events or initiatives, but they must not incorporate any elements of the visual identity (the arch-shield icon, the University of Georgia wordmark). Instead, leverage the university brand by using the recommended promotional graphic arrangement. 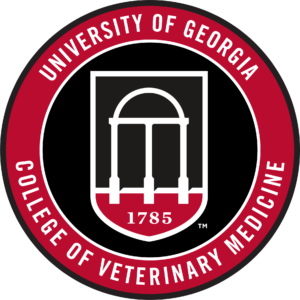 Keeping the university’s logos distinct and its elements exclusive helps strengthen the recognizability of UGA’s visual identity and consequently strengthens the recognizability of the university itself. Who can use university-level logos? University-level logos have been made available for public download. However, usage must comply with trademark policy. Who can use unit logos? University trademark policy also applies to individual unit logos. Contact the logo liaison for each unit for usage approval and access. Can student groups use university trademarks (including logos)? A student group’s access to university trademarks is determined by the group’s status. Four categories of student group statuses exist. 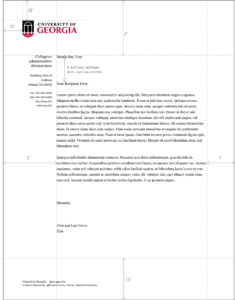 See the Student Affairs trademark approval process. What is the difference between a logo and a trademark? A trademark is any graphic or verbiage legally registered and owned by an entity. 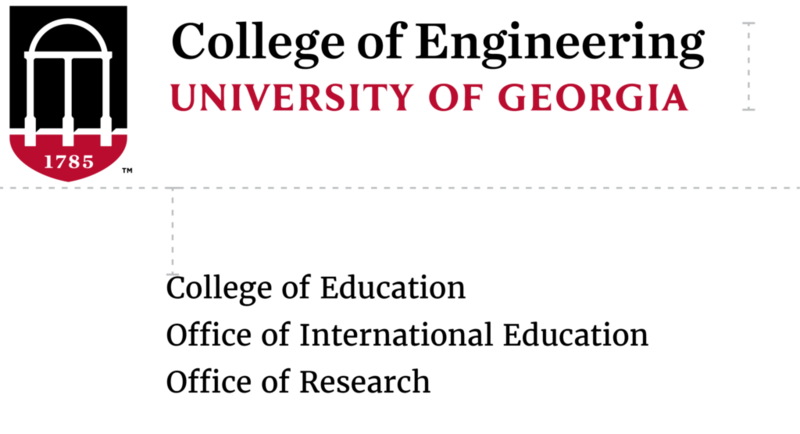 Logos are a specific type of university trademark. Can I use illustrated versions of the Arch? the ribbed details of each column. the lightbulbs at the top of each side. the floral embellishments in the upper portion. 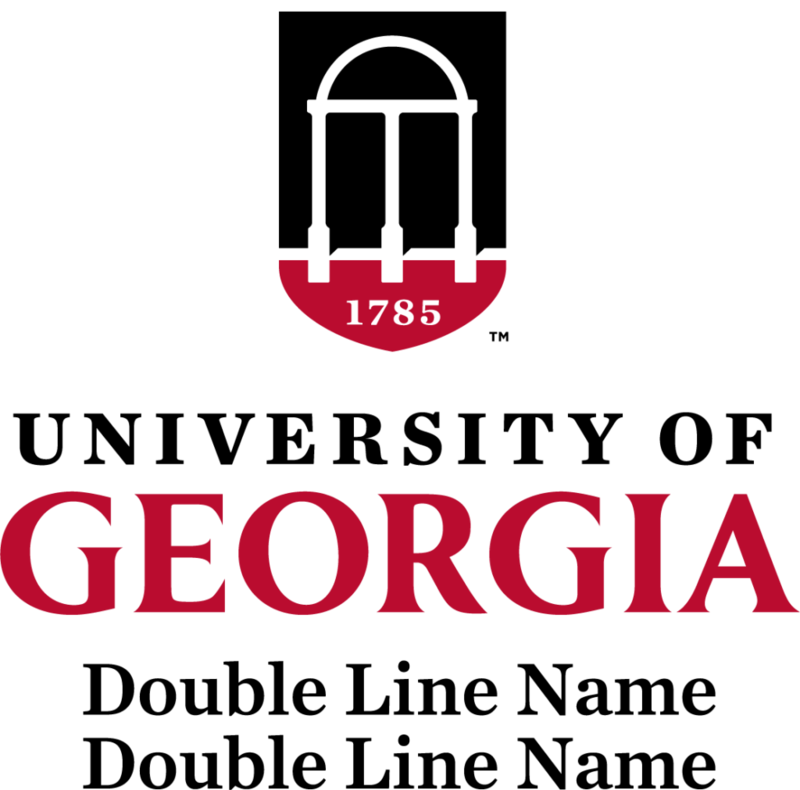 What is considered an alteration of the university’s logos? 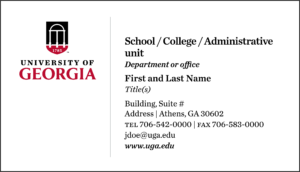 Any graphic identifying the university, its units or any of its student groups that includes an arch of any kind or any part of the University of Georgia wordmark is considered an alteration and is prohibited. What is the purpose of the trademark symbols on university logos? 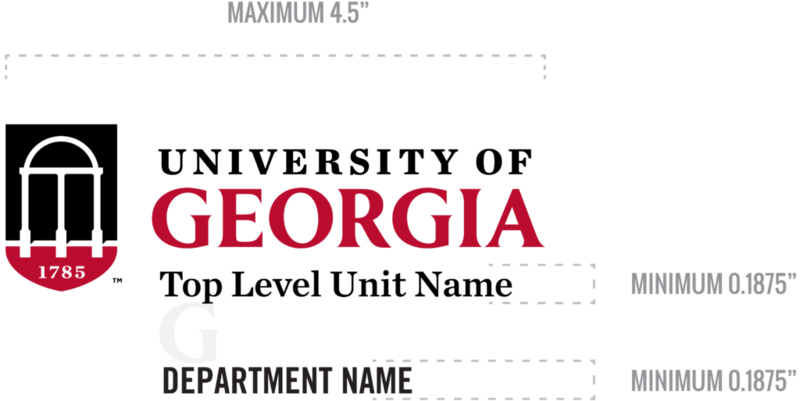 The trademark symbol indicates that the University of Georgia is in the process of registering the mark in question as its property. Keeping it intact discourages unauthorized use and protects the university’s reputation. 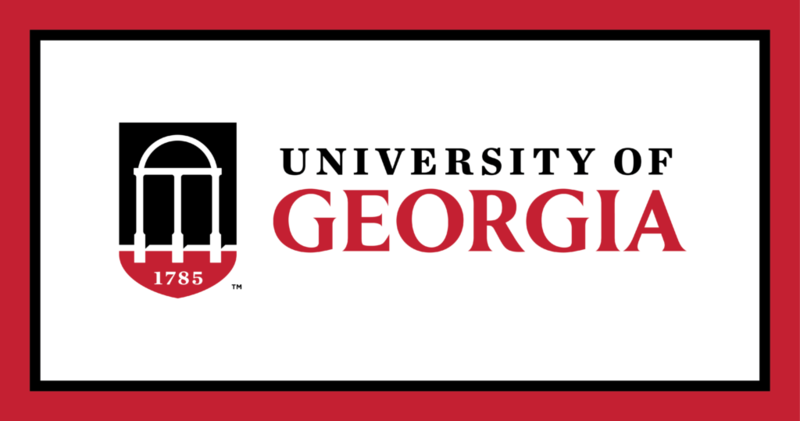 Can I remove the trademark symbol from university logos? No. 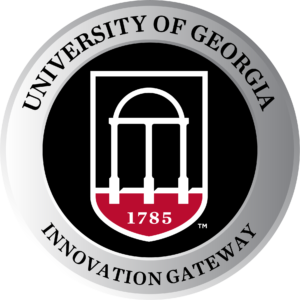 The trademark symbol must be kept intact on all logos to protect the university’s reputation. Why is clear space important? How is it defined? Clear space protects the integrity of logos. When text or other graphics are placed too closely to a logo, it becomes difficult to recognize what is part of the logo and what is not. Over time, such misuse weakens the recognizability of the logo and the entity it represents. If, for example, a non-university entity’s name is placed too closely to the university logo on an event advertisement, the viewer can mistake the outside entity as part of the university instead of as a separate partner. 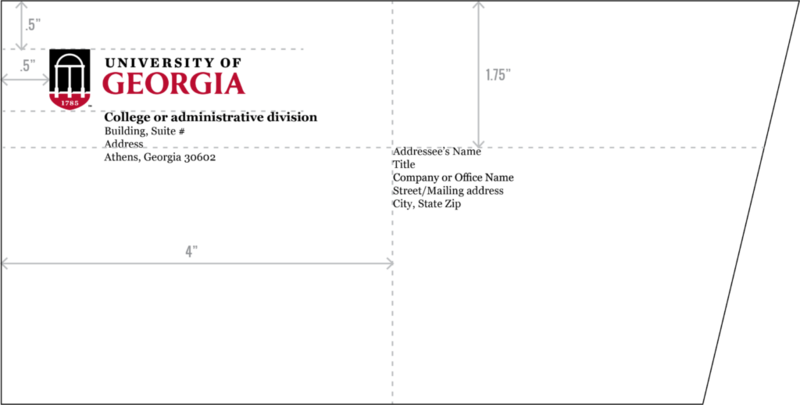 For ease of use, clear space guidelines have been derived directly from the logos’ characteristics. Keep in mind that these are minimum requirements, and using more clear space is encouraged when possible.